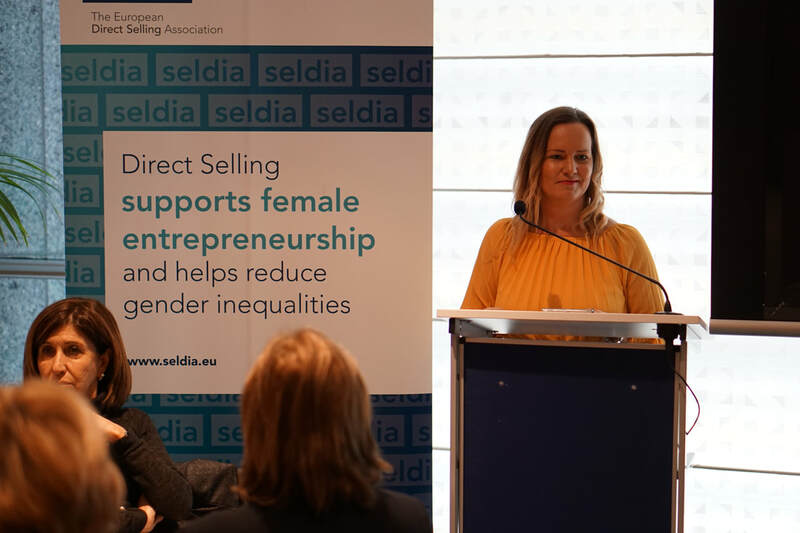 The Women Entrepreneurship Platform, alongside its sponsor SELDIA, had the pleasure to organise a lunch briefing on 23rd January at the European Parliament hosted by Marlene Mizzi MEP on the topic of Inclusive female entrepreneurship: the impact on job creation. The event was a real success and had a record attendance, thanks to the gracious participation of our dedicated speakers, who expressed the different standpoints in the civil society, business and institutions on women entrepreneurship. We especially thank the Minister of Labour and Social Justice of Romania, Marius-Constantin Budai, who detailed the priorities of the Romanian presidency on women’s employment. The briefing started with a welcoming speech delivered by the Socialist MEP host, Marlene Mizzi, who highlighted the empowerment potential of developing an entrepreneurial activity for women. She stressed that practical solutions are especially needed in the beginning of the business creation, when it is most vulnerable. That is why in view of the upcoming European elections, the interest that policy-makers will hold for this topic to develop entrepreneurial capabilities for women is paramount. ​"We need to assess the reasons as to why women entrepreneurs are not so present in the labour market. The contribution to the economy of women entrepreneurs must not be underestimated"
​​Marius Constantin Budai, Minister for Labour and Social Justice of Romania delivered his speech in his mother tongue and started by stressing that the Romanian Presidency considered women empowerment and gender equality as priorities for its mandate. First, the increase of women economic independence to reduce the gender gap. Second, the prevention and combat of gender based biases. 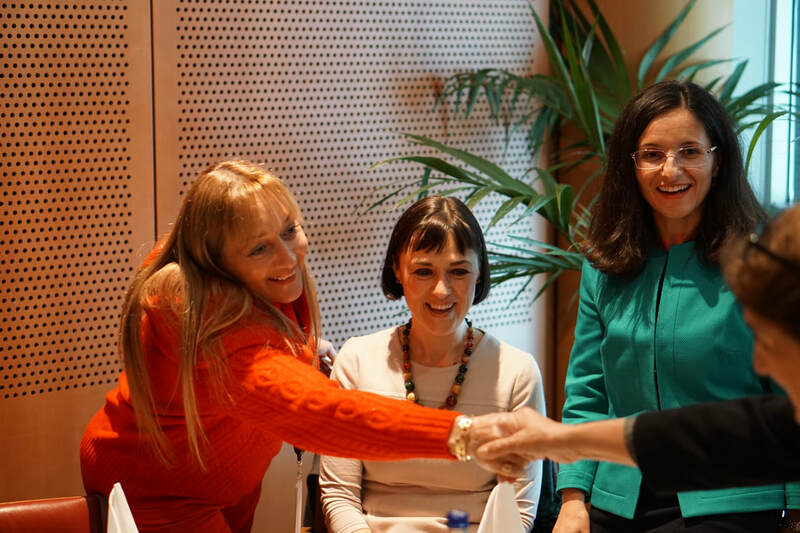 ​Maria Gabriela Zoana MEP presented the work done by the FEMM Committee and the European Parliament on female entrepreneurship. She strongly advocated to continue to encourage girls and women to develop their careers in STEM sectors. She focused on the work-life balance and shared family responsibility, considering they will be key drivers to encouraging women’s participation in labour market. She finally underlined that important amendments on digitalisation of agriculture sector for female rural farmers were being negotiated in the FEMM Committee and she hoped they would be included in the European Parliament position. ​Working at the Directorate General on Growth from the European Commission, Dana Adriana Puia Morel made a vibrant call to point out that women needed flexible hours and better day-care structures so they would not have to sacrifice their work aspirations. She also stressed that women are still more afraid of failure and less confident in their abilities than men and that is why role models must spread inspiring stories. She also reminded that the European Commission developed a platform, WEgate, which is a useful tool allowing for women business entrepreneurs to build a network. ​"We want women to be the best that they can be." ​​A business perspective was delivered by Emma Sneddon, an entrepreneur who came across direct selling when she already had a successful and settled job, but did not enjoy a good work/life balance. She underlined that direct selling holds appeal for women already working because the entry point is low and then it comes with less risks ​attached to it. In the past years, she endeavoured to show other women that it is possible to become an entrepreneur and they should be confident in doing so. Make sure to have a look at the pictures of the event here.